Recently one of my friends asked my father “Which pension plan you opted for retirement?”. My dad laughed and told him that “Govt provided Pension” was his only pension plan. I wish that today’s generation could have enjoyed the same privilege. With an uncertain economy and job environment, there is an enormous pressure on the current generation to kick start financial planning ASAP. As an individual, my Financial Planning is much more sophisticated than the previous generation. During Good Old Days, My father’s only worry was kid’s education and marriage. These days besides kids education and marriage, i am also worried about life insurance, health insurance and of course about my retirement. After i had enrolled for online term insurance and online health insurance, I was naturally worried about my retirement planning i.e. Pension Plan. I was looking for an Online Pension Plan, but my biggest concern was whether my pension plan can beat the inflation. Whether it will help me in living a respectable life after the retirement. Traditional pension plans available in the market can provide a max return of 4%-5% p.a. that is not sufficient considering the future requirement. You should never buy any financial product just for the sake of buying. It is important to do a proper analysis. You need to ask whether the product will fulfill your future requirement or not. Therefore, while doing online research i came across HDFC Life Click 2 Retire – Online Pension Plan for Retirement (Click on the Link for Pension Plan details). As i mentioned in my post on online term insurance i.e. i already subscribed to HDFC Life Click2Protect. The USP of online financial products is NO HIDDEN CHARGES. The insurance provider has to provide complete information on the web. Moreover the reason for selecting Online Pension Plan i that i don’t prefer intermediaries. The commission paid by insurance companies to insurance agents is a saving for me. I do my research and analysis before committing myself. After all it’s a long term commitment. Why i selected HDFC Life Click 2 Retire Pension Plan? (a) Pension Equity Plus Fund: This is more suitable for young people as 80% to 100% of the premium can be invested in equity. It will help to grow your investment over a period. (b) Pension Income Fund: This fund is suitable for mid age people as it will invest 80%-100% of the premium in Govt Securities, Fixed Income Instruments, and Bonds. The return of this fund will be near to 10 year Govt Bond Yield currently, which is hovering near 7.55%. The future returns will vary depending on the Govt Bond Yield. (c) Pension Conservative Fund: This fund is suitable for people who are very near to their retirement. The fund will invest in a mix of Money Market Instruments, Cash, and Deposits & the securities mentioned in point (b). The returns will be slightly lower than the returns of Pension Income Fund. The biggest worry of any investor is how much the insurance company will charge for the pension plan/financial product. This information is normally not disclosed to the investor. For HDFC Click 2 Retire, i found this information on their website. Premium Allocation Charges, Policy Administration Charges, Mortality Charges and Discontinuance Charges are NIL. There is a Fund Management Charge of 1.35% p.a. and investment guarantee charge of max 0.5% p.a. Investment guarantee charge will depend on the fund selection. In short, total 1.85% p.a. (Maximum). Now you must be wondering i can invest in Mutual Funds instead of Pension Plan. Here i would like to highlight that Mutual Funds also charge an expense ratio of max 2.5% (Equity Mutual Funds) and 2.25% (Debt Mutual Funds). Also, add Dividend Distribution Tax and Exist Load (Applicable in some of the cases). Most of the investors are not aware of these mutual fund charges. Therefore, if we compare the charges of HDFC Click 2 Retire Pension Plan and Mutual Fund, then the charges are comparable or much lower in the pension plan (Case to Case basis). The biggest advantage offered by Pension Plan compared to mutual fund investment is Tax Benefits and Assured Benefits. In case of death, HDFC Life assures 105% of the premiums paid or Fund value (Whichever is higher). The investment guarantee charge as mentioned in point no 2 are for promised benefits to safeguard the interest of investors. In short, the total premium paid is SAFE from any unknown fluctuations even if you select Pension Equity Plus Fund. Due to an uncertain economic environment, cost cutting and automation, the retirement age in private sector job is as low as 45 years or 50 years. 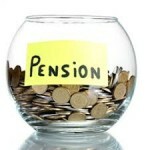 Under the pension plan, i can maturity my plan any time after attaining the age of 45 years. On the other hand, i can extend it until the age of 75 years. The assured benefits as explained in point no four will be in force till the pension plan matures. On maturity, the annuity will be fixed as per the option selected by you for Maturity (Vesting) Benefits. Depending on your current age, profession, and future liabilities you may select the premium payment years and policy term. There is an option of Single Pay, 8 Pay, 10 pay or 15 Pay. Also, policy term can be 10 years or between 15 to 35 years. It is advisable to think thoroughly and discuss with your family members before committing payment years and policy term. Minimum premium is Rs 2000 per month which can be paid monthly, quarterly, half-yearly or annual depending on your financial commitments. There is NO LIMIT to max premium. Last but not the least, you can buy HDFC Click 2 Retire Pension Plan online. For other terms and conditions of the pension plan, you should go through the Product Brochure. Disclaimer: I intend to subscribe to HDFC Click 2 Retire Pension Plan. This post is written based on research, analysis & study done by me while finalizing the online pension plan suitable for my requirement. Readers are requested to seek independent and expert opinion before finalizing offline/online term insurance plans based on their individual need. I do not take any liability for any decision made by the readers only based on information shared in this post. This post is my personal interpretation of the product. By accessing and browsing this post, you accept, without limitation or qualification, the “Disclaimer” of this blog.